We stock New and Rebuilt, Eaton, Fuller, Mack, Spicer, Rockwell, ZF, Truck Transmission, Differential, Transfer Case, and PTO. Rebuilt Fabco truck rear end parts, new and good used. Rebuilt Fabco Differentials, Rebuilt Fabco Drive Axles, Rebuilt Fabco Axles. All Rebuilt Fabco models available for delivery or shipped Worldwide. Rebuilt Fabco Differential Parts Supplies the full line of Rebuilt Fabco Rear-Ends and Differentials and Parts for Your Equipment, Truck, Semi, 4-Wheel Drive, Off-Road and Performance Vehicle. We are the trusted source for quality Rebuilt Fabco driveline parts and accessories. All Fabco parts are available and in stock. New and Used Rebuilt Fabco Differential Parts. We are your source for quality OEM and aftermarket Rebuilt Fabco differentials and parts delivered Worldwide. Please contact us for more information. We will be happy to help you locate the Fabco parts you need as well as free expert advice. Rebuilt Fabco Differential. 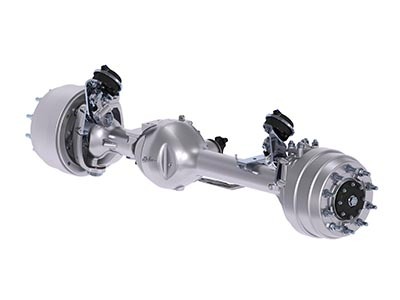 Fabco Drive Axle.